RAPAPORT PRESS RELEASE, January 2, 2018, New York… Polished diamond prices stabilized in December following a better-than-expected holiday season. US consumer sentiment was boosted by economic growth, record-high stock markets and a drastic tax overhaul that is expected to raise disposable income and discretionary spending. The RapNet Diamond Index (RAPI™) for 1-carat diamonds edged up 0.3% in December. 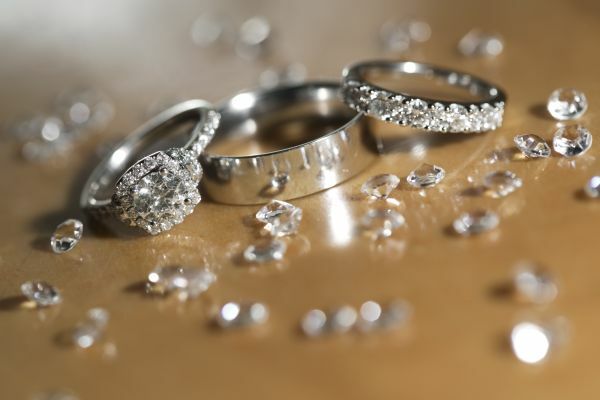 RAPI for 0.30-carat diamonds rose 1.2%, while RAPI for 0.50-carat stones increased 0.6%. RAPI for 3-carat diamonds slid 1.7%. The 1-carat RAPI softened 0.8% in the fourth quarter and fell 5.3% for the full year. The index declined for the sixth consecutive year in 2017, as noted in the Rapaport Diamond Price Statistics Annual Report to be published in the January 2018 edition of Rapaport Magazine. Market sentiment improved in December amid steady US holiday jewelry sales and consistent Chinese demand ahead of the Chinese New Year on February 16. The US retail environment is undergoing unprecedented change, with strong online sales creating greater competition and price uncertainty due to internet discounting. Jewelers and diamantaires who provided added-value services and implemented strategies to engage with customers online and in-store had a successful holiday. In mainland China, more consistent local sales are replacing volatile Chinese tourist shopping elsewhere, with diamond engagement rings gaining popularity among Chinese millennials. Diamond trading slowed in December, with US and Belgian dealers on vacation during the Christmas-to-New Year break. Dealers are encouraged by reports of positive retail sales, but are waiting for memo returns before assessing the holiday season. Manufacturers are maintaining steady polished production in anticipation of a rise in first-quarter demand; a period when jewelers typically replenish stock sold during the holiday season. Dealers start 2018 with a better outlook than in previous years. Booming stock markets, higher wages and lower taxes will result in a sustainable rise in wealth. That will lead to more diamond demand, even as growth in online sales, rising synthetics supply and changing consumer habits contribute to uncertainty.